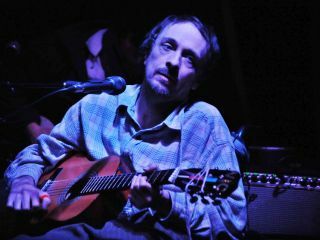 Vic Chesnutt, the critically acclaimed indie rock icon from Athens, Georgia, died on Christmas Day 2009 as a result of a suicide attempt. He had taken an overdose of muscle relaxants two days earlier that left him in a coma. Chesnutt, 45, who was paralyzed from the waist down after a 1983 car crash, made no secret of the fact that he had attempted to kill himself several times over the years. Recently, he was struggling with a lawsuit filed by a Georgia hospital after he racked up surgery bills totaling over $70,000. Chesnutt said in an interview that he couldn't afford more than hospitalization insurance and was unable to keep up with the payments. Despite being bound to a wheelchair since his accident, Chesnutt released over a dozen albums over a nearly 20-year career (including two in 2009: At The Cut and Skitter On Take-Off) that studied life's hills and valleys with an unyielding sense of wry humor. REM's Michael Stipe, an early supporter, produced Chesnutt's first two albums, Little and West Of Rome, from 1990 and '91, respectively. "We have lost one of our great ones," Stipe said in a brief statement on the REM website. "In the few short years that we knew him personally, Vic transformed our sense of what true character, grace and determination are all about," said a statement from Constellation Records, which released Chesnutt's recent recordings. "Our grief is inexpressible and Vic's absence unfathomable."